I’ve come across a road block in a knitting design I’m working on and I’m still unsure about what direction I want to take. This has left me without any actual knitting to work on these past few nights and I’ve started to feel frustrated and uncreative. Fortunately, inspiration struck and although it wasn’t an solution for the knitting design, it was an idea for a fun crafty project for the house that I’ve been wanting to do for a while. 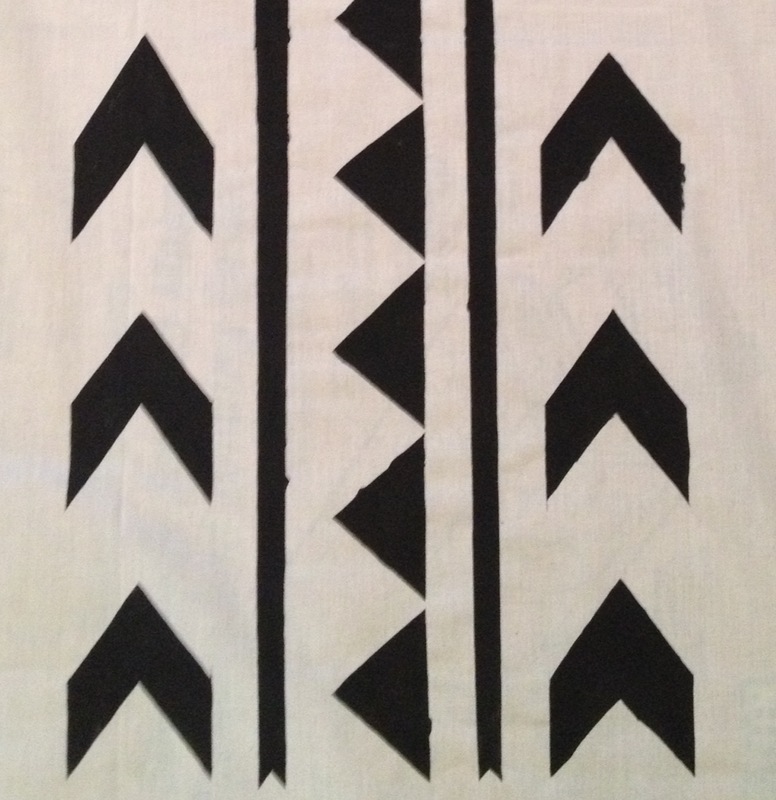 A little fabric, a little paint, and a handmade stencil just made everything better. Here’s a little sneak peek as I’m not quite done with this yet, but I’m having such a good time doing something creative after the recent knitting block. Hmmm. . . Now I’m very curious. . .